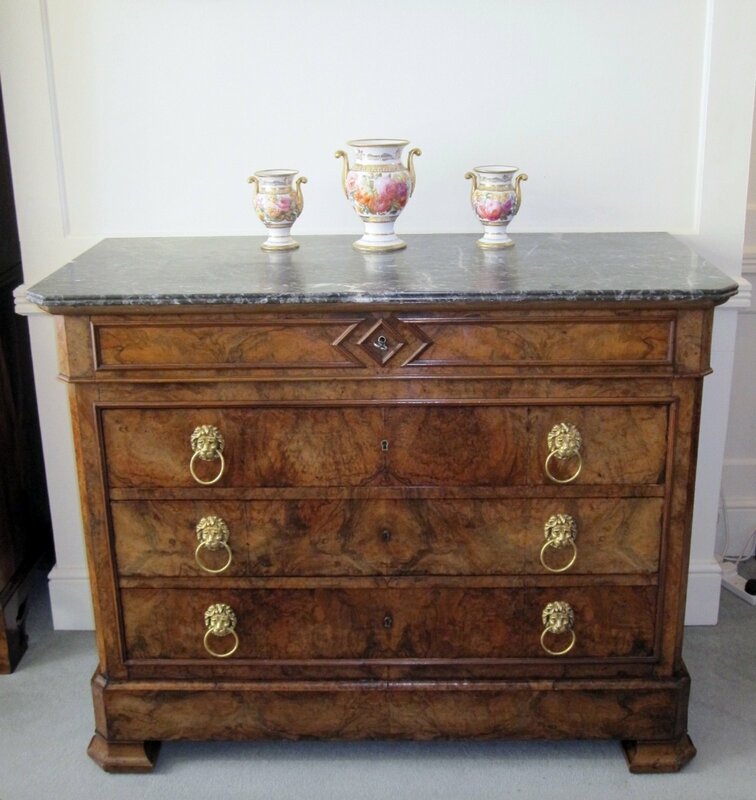 A FINE EARLY FRENCH 19TH CENTURY EMPIRE PERIOD WALNUT & MARBLE COMMODE. CIRCA 1825. The shaped and moulded marble top over a canted corner body with a shallow drawer with geometric moulding, and over three graduated drawers with a moulded surround. raised on a plinth base with cut shaped bracket feet. Original gilded lions mask and ring handles to the drawers.